Friedrich Wilhelm von Steuben, better known as Baron von Steuben (1730-1794), was a Prussian military officer who contributed to the training of the Continental Army during the Revolutionary War. Steuben was born in Magdeburg, the son of a Prussian military officer, and educated in Germany and Russia. He enlisted in the Prussian army at age 17 and later obtained a commission as an infantry officer. Steuben served as an aide to the Prussian ruler Frederick the Great, then saw service in the Seven Years’ War, reaching the rank of captain. He retired from the army in 1764 and took the position of chamberlain (household manager) to a Prussian prince. Steuben held this position for more than a decade, however, it left him in great debt and forced him to consider a return to military duties. After unsuccessful attempts to obtain a military post in Europe, Steuben learned off the unfolding war in North America. In the spring of 1777, he met with Benjamin Franklin and Silas Deane in Paris. Steuben arrived in America in December 1777 and the following February volunteered his service to Congress, which dispatched him immediately to the Continental Army’s winter camp at Valley Forge. Despite his inability to speak English, Steuben set about educating the Americans in European-style warfare. Continental infantrymen were taught everything from basic camp procedures to bayonet use, while officers were trained in battlefield command and strategy. 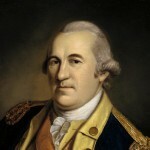 Steuben’s contributions helped forge the Continental Army into a more coordinated and disciplined unit. His famous ‘blue book’, Regulations for the Order and Discipline of the Troops of the United States (published 1779), provided the basis for American military training for two decades after Steuben’s death. 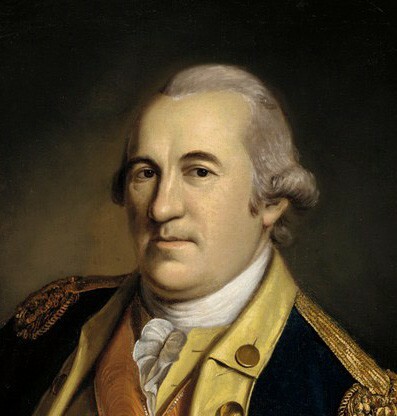 While Steuben is best known as the Continental Army’s inspector-general, he also saw combat in the southern theatre of the Revolutionary War, commanding regiments at Monmouth and Yorktown. Steuben was given American citizenship in March 1783 and discharged from the army in March 1784. Congress awarded him a large land grant in central New York state and a sizeable pension – though Steuben, like other officers, would wait years to receive them. He lived out his final years on his farm and in New York City. Steuben never married and historians have long speculated about his sexuality. Indeed, there is some evidence to suggest that his relationship with two young officers went beyond mere companionship.